As you may have noticed, recruiting is always near by for me when talking about Iowa Wrestling. I believe in the Barry Switzer (HOF college football coach) theory that players win titles, not coaches. It takes a special breed to be an Iowa wrestler. Recruiting and bringing in the right wrestlers for the Iowa program is the recipe for success. Recruiting is your present and future. With the NCAA National Tournament coming up, I thought looking back at our recruiting classes for Iowa Wrestling would be worth a look at. My first point that I believe has been overlooked this season is that Iowa Wrestling has a very young team. 76% of the points (82 of 107.5) that Iowa had at the 2019 Big Ten Championships was scored by a freshman or sophomore. That is a young Iowa Wrestling team with a great future. This season has reminded me of the 1990 Iowa Wrestling team in several ways. That year we had two sophomore national champions in Terry and Tom Brands and placed third at nationals. 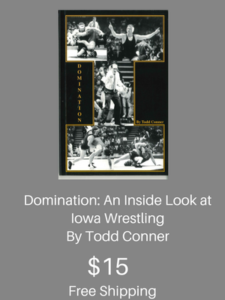 The foundation was set with the legendary Iowa Wrestling Recruiting Class of 1987, a great Recruiting Class of 1988, and two transfers. The Hawks then went on a three year run of winning national team titles in 1991,1992, and 1993. I am going to go ahead and put Michael Kemerer in as a medical hardship redshirt from this season so that he would have two more years of eligibility. I would be shocked if Kemerer is not granted a hardship for this season when he did not take the mat for even one match from a knee injury. To think that I get to go to Carver Hawkeye Arena and watch Alex Marinelli and Michael Kemerer compete back to back in their prime for the next two years…is a great thought. We will have a first in the history of Iowa Wrestling as far as I know with wrestlers from three different recruiting classes in one class as juniors next season. Kemerer from 2015, Young and Marinelli from 2016, and Lee and DeSanto from 2017. I have been hearing great things about true freshman Anthony Cassioppi from the Recruiting Class of 2018. It looks as though Cassioppi is more than ready to step in at Hwt next season as a redshirt freshman. I also really like what I see out of true freshman Nelson Brands. I am very confident that Cassioppi and Brands will entertain the Iowa Wrestling Nation in the years to come. We have a great group of recruits coming in for the Recruiting Class of 2019, 2020, and 2021 and more on the way. Abe Assad – Carol Stream, IL (Glenbard North HS) 182 lbs. Zach Glazier – Albert Lea, MN (Albert Lea Area HS) 182 lbs. Cobe Siebrecht – Lisbon, IA 138 lbs. Patrick Kennedy – Kasson-Mantorville, MN 170/182 lbs. Cullan Schriever – Mason City, Iowa 120 lbs. Colby Schriever – Mason City, Iowa 138 lbs. Jesse Ybarra – Tucson, AZ (Sunnyside HS) 126 lbs. Gabe Christenson – Runnells, Iowa (Southeast Polk HS) 195 lbs. Ryan Sokol – Grover Heights, MN (Simley HS) 132 lbs. 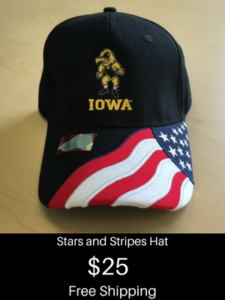 I know we are just a few days away from the national tournament, but does the future for 2020, 2021 and beyond ever look great for Iowa Wrestling. Recruiting is your present and future.